Copper SFP vs Optical SFP: Which One Is the Best to Use? The war of copper vs fiber has raged for years. Fiber seems to operate as a rival to copper rather than a replacement until now, it has already established a niche in the industry. However, with recent advances in copper technology, the copper presents the same step-ladder upgrade path. The speed difference between the two media is considerably smaller. In some ways, the copper matters most to IT experts and data center decision makers. But many end-user organizations still face tough decision about which type is the best overall value for their current and future projected needs. 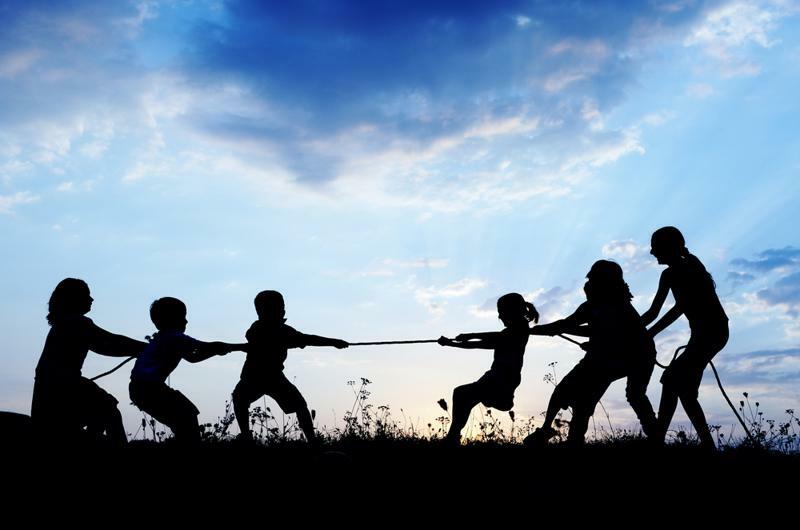 This battle is also being waged in SFP transceivers, there is a measurable difference in the copper SFP vs optical SFP. This article will explore their respective strengths and weaknesses and reveal insights into how IT experts are to proceed. The Gigabit RJ45 copper SFP transceiver supports 1000Mbps over Cat5 cables with RJ45 connector interface, which operates on standard Cat5 unshielded twisted-pair copper cabling of link lengths up to 100 m (328 ft). 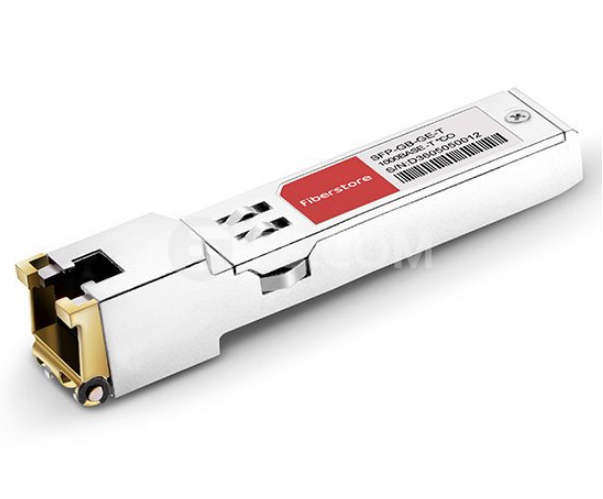 GLC-T is a typical Cisco 1000BASE-T SFP copper RJ-45 transceiver. For short-distance links on a Gigabit switch, it makes no difference if you use SFP ports or RJ45 ports to interconnect switches. Copper SFP is popular to be used for short range uplinks, as it’s easier and cheaper to use 1G copper SFPs and patch cables. And SFP ports are primarily for allowing fiber connections over longer distances. Especially in some case, Copper SFP will make sense if the switch on one side does not have copper ports but SFP slots and the switch on the other side only has copper and can’t be fitted with fiber ports. Or if you don’t need the distance of fiber, you can consider converting SFP to RJ45, which will depend on the switch to determine what copper speeds (10/100/1000) are supported on a copper SFP. Moreover, using copper SFPs to connect the regular copper Gigabit ports is a wise choice to make the best use of the corresponding number of SFPs on existing connected switches. The optical fiber SFP modules with LC or SC optical connectors are available in Fast Ethernet and Gigabit Ethernet. And these SFP modules are industrially rated to perform in the most difficult operating environments. The SFP fiber module offers different wavelengths and optical power budget to allow distances from 550m to 120km. A variety of 1Gbps SFP modules in different distance can be found in FS.COM. Some statics also shows that the legacy SFP can hit 4.25Gb/s at 150m, or up to 1.25Gb/s for 160km runs and a variety of ranges/speeds in between depending on type of fibre. Generally, when the distance of the run is over 328 ft/100 m, fiber SFP module must be considered instead of copper SFP RJ45 module, since 1000Mbps could only go as far as 100m over copper cabling. In that sense, optical fiber SFP offers the substantial advantage over copper SFP. For the standard fiber SFP and copper SFP, there is no difference for the operating temperature – they support 0 to 70°C (32 to 158°F) case temperature as default. In fact, there is more heat dissipated for optical or electrical transmission in the specific applications. Generally, the copper SFPs run much hotter than the fiber SFPs. There are two factors that affect the temperature: power consumption and the case surface. The typical power consumption of fiber SFPs is 0.8W, the copper SFP is 1.05w, that’s why copper SFP have a higher case temperature. In the same environment, the fiber SFP runs at 40°C (104°F) while the copper SFP should run around 52°C (126°F). As mentioned above, copper SFP supports the max cable distance is 100m, so it is commonly used to interconnect between switches and servers in horizontal and shorter-length backbone applications. While the fiber SFP allows the transmission distance up to 120km, which demonstrate the high performance over longer distances. When security could be considered as a problem in the connection, using fiber SFP module is better than RJ45 copper SFP module. Because fiber doesn’t conduct electricity that makes it resistant to lightning strikes. Copper SFP transceiver might be more expensive than fiber SFP module in the same short distance. In Gigabit Ethernet applications, when copper SFP is used in combination with cooper cables in short runs, it is more cost effective as the copper cables are more cheaper than fiber cables. Besides, with the boom of third-party vendors, their full-compatible and trustworthy fiber SFP modules are developed to support lower cost fiber runs. 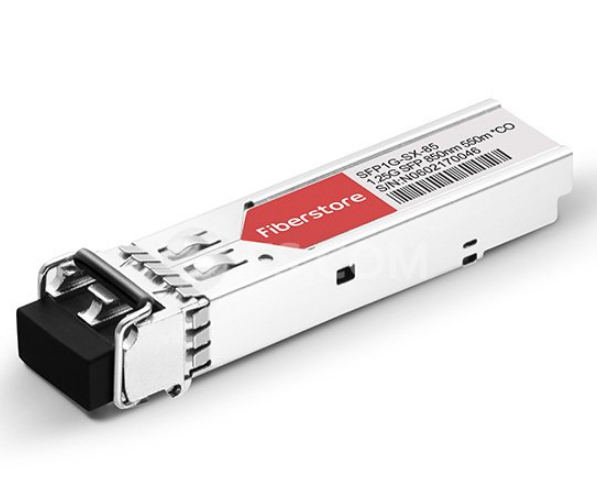 The price gap between 100m copper transceiver and 40km 1000BASE-EX SFP fiber transceiver is reduced. More choices are provided for customers to meet their specific demands. Through copper SFP vs optical SFP, we can see that each technology has its own set of advantages and disadvantages. Optical fibre SFP is not necessarily better than copper SFP. In fact, mixing copper and fiber solutions is the best practice for data center, as a versatile solution is critical to ensuring the data center remains both manageable and scalable when performance demands skyrocket. Network industry is unpredictable, and the demands of tomorrow may require facilities to investigate solutions they may have scoffed at a year ago.